Today, we launch our Bright Green Giving Season! From now until the end of the year, EcoRise is celebrating and sharing all of the wonderful things we accomplished together in 2017. Today’s story highlights the students at Brooke Elementary who think bright green. Earlier this year, while completing a Public Spaces Eco-Audit at their school, students learned about the importance of bees in our food system. 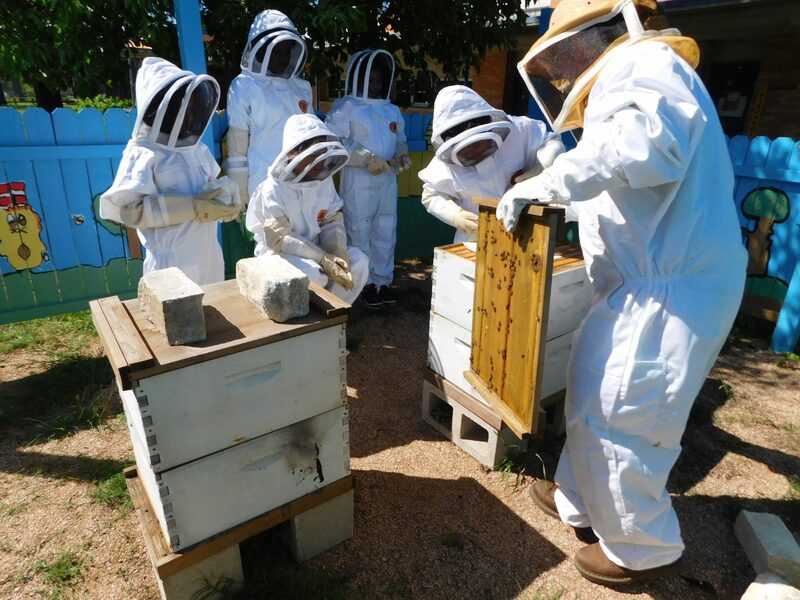 They applied for and received $961 in grant funds from EcoRise to purchase beekeeping suits to study the busy bees at their school. Inspire a new generation of leaders design a bright green future for all. Donate $120 or more to our Bright Green Giving Campaign today to support student leaders just like Carina. 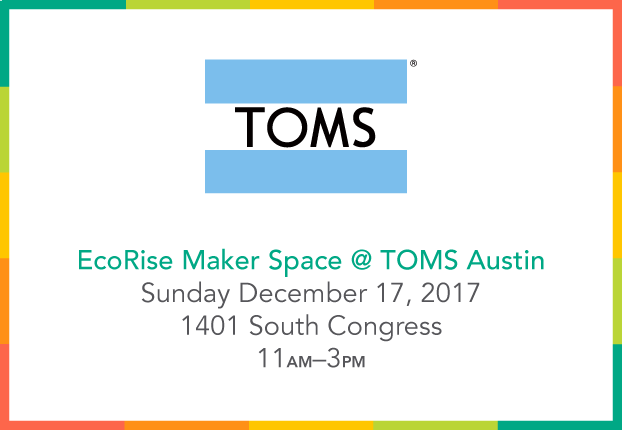 Don’t forget to join us for our EcoRise Maker Space at the TOMS Austin store on Sunday, December 17, from 11:00 AM to 3:00 PM and learn how to make solar ovens out of pizza boxes! Thank you for your support and happy holidays! Together, #WeRise! ← See all that we’ve achieved this year!